In November 2010, ArtReview magazine published its annual Power 100, a list of the most powerful people in the art world. 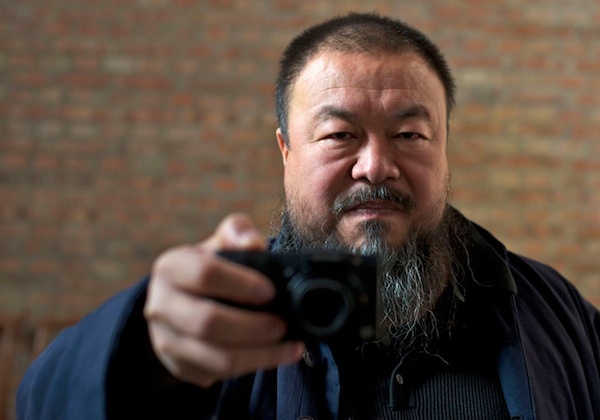 The highest-ranked living artist, coming in at number thirteen, was the Chinese artist and activist Ai Weiwei. Two months later, the Chinese government demolished Ai’s brand new, two-thousand-square-foot studio in Shanghai in one day—this despite the fact that officials had approved (and by some accounts invited) Ai’s plans for the studio, which took a year and almost a million dollars to build. Then, in April 2011, Chinese authorities took Ai into custody. Without announcing charges against him or when he would be released, they held him in detention for eighty-one days, during which time guards watched him constantly, even when he went to the bathroom or slept. He was released in June and, a few months later, charged with “economic crimes” and an accompanying bill of $2.4 million. Last year, ArtReview ranked Ai Weiwei number one on its Power 100 list. At the time, this pronouncement seemed hugely problematic, if not potentially idiotic. Ai, who had been an outspoken critic of the Chinese government since 2007, emerged from his detention visibly rattled—he refused to speak to the press and stopped using social media, on order from the authorities. Although he returned to Twitter and began giving interviews again soon after, questions lingered: Was this indeed a powerful man? What does it mean to have power when you’re fighting an entity that has more? Can one be simultaneously powerful and powerless? Yes would seem to be the answer to that last question, at least according to Alison Klayman’s documentary, Ai Weiwei: Never Sorry. Klayman followed Ai for a crucial two-plus years of his life, starting in 2008, when his political activism began in earnest, and ending not long before his detention. Granted incredible access to the artist and his family and friends, and making use of Ai’s own material, much of it digital (his documentaries, Twitter feed, blog posts, media interviews), Klayman constructs a compelling portrait of an immensely popular and provocative man who exists in a power limbo. Ai is forever on the edge, both touched and untouchable—a man who comes across as fearless but characterizes himself as fearful. “Maybe being powerful means being fragile,” he tells a BBC interviewer. Ai speaks like this throughout the film (in both English and Mandarin, his native language), frequently expressing thoughts in wise aphorisms. No wonder his fans and followers call him “teacher Ai.” He inspires them, too, through his actions, which, importantly, often involve larger calls to action. After 2008’s 7.9-magnitude earthquake in Sichuan Province, government officials refused to give Ai a list of the names of students who had died (they called it a “state secret”). This prompted him to found the investigatory Sichuan Earthquake Names Project, for which he collaborated with more than fifty volunteers and researchers. On the second anniversary of the quake, he launched an online project asking people to record themselves reading the names of victims aloud. And when the artist found out that his new Shanghai studio would be demolished, he decided to throw a giant party to celebrate the destruction, a river crab feast—in Chinese, the word for river crab, hexie, sounds like the word harmony, which, the Telegraph explains, is “the ideological buzzword of the current regime.” At the last minute, the government placed Ai under house arrest and wouldn’t let him attend, but hundreds of people showed up anyway to eat and document the event. It’s impossible to miss the irony: branding by definition is about making things easily digestible. It’s about encouraging people to follow and asking them to buy in. Branding is necessarily a reduction and a simplification—not exactly the best way to promote individualism. The brilliance of this tactic is that it undermines the surveillance that has long been the hallmark of the repressive state. Klayman returns time and again to the government cameras that surround and monitor Ai’s studio and movements, vaguely ominous shots of them shifting and zooming around. But the most telling scene is less literal: Ai and some of his entourage are having dinner outside a restaurant in Chengdu, to which the artist has returned to file an official complaint about his beating. Ai had publicized the dinner on Twitter, leading some fans, and then the police, to show up. While one officer questions him about the group’s plans (“When will you be done?”), another stands in the street filming the scene. Klayman leaves the dinner to focus her lens on the latter, and the two cameras become involved in a kind of filming standoff. Then Ai’s videographer joins in and begins filming the police officer as well, standing less than a foot away from him and sticking the camera in the officer’s face with deliberate intrusiveness. The moment is hilarious, but it’s also a clever inversion of the workings of the police state: Ai has the same dirt on them as they have on him, and he’s not afraid to share his with the world. This type of idealistic, simplistic language glosses over the truth, which is that much of the art world has little to no interest in—or perhaps the more apt phrase is knowledge of—the real world. Crowning Ai as most powerful may make sense in the context of the art bubble, where his work commands high-profile attention, exhibitions, and prices. But in the film you can feel the extreme disjunction between that world—Ai visiting Munich and London to install his exhibitions—and the one he lives in, China, where he seems to spend every day battling the police. In the latter, his influence is cemented, but his power is much more precarious. Jillian Steinhauer is a Brooklyn-based writer and assistant editor of Hyperallergic.